Some houses are built like resorts, and this is probably one of them. With it’s Balinese style of architecture you’ll be only too happy to rush home every day to sit by it’s inviting pool with it’s quiet surroundings. This abode is situated in Ukay Height, Ampang with easy access to and from the MRR2, Ampang Point, Akleh and other amenities. The land area is 13,000 sf with a built- up of 5,500sf, comes with 5+1 bedrooms and 5 bathrooms. The property is to be rented out partly furnished and the rent is RM11k per month. 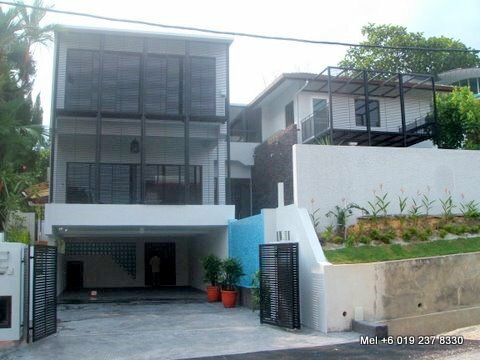 If you’re looking for a link house to buy or rent in Ampang then you may want to consider this house which is located at Dataran Ukay, Ampang. This place is next to Ukay Heights and off the MRR2 highway. The house is a 2 1/2 storey link with a land size of 22 x 70 and a built up of approx 2,500 sf. There are 3 bedrooms, 1 study room and 1 maid’s room. The area is guarded so security is generally good. The property is of FREEHOLD status. 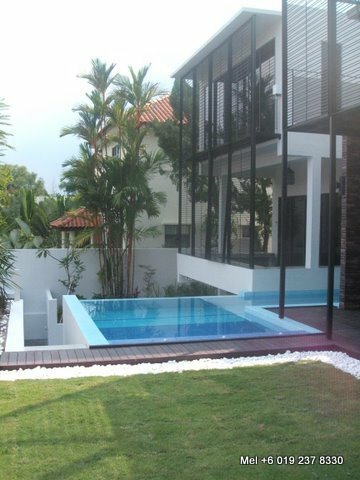 The price is RM1.25m negotiable and the Rent is RM2.8k per month inclusive of the security charges.